Even if not often, most Nevada citizens may occasionally question how their loved ones would cope in the event of their deaths. Individuals can avoid unnecessary concern about their welfare by being proactive. Drawing up a will as part of an individual’s estate planning will avoid a situation where the state will decide where that person’s assets will go after death. Even though the deceased will be unaware of how things play out, the loved ones who were left behind will likely be grateful that the arrangements were made ahead of time. Procrastination is probably the biggest reason for people to not have a will, and many seem to think there is loads of time to do estate planning at a later stage. There are even some people who for some reason believe that a will is unnecessary while others simply prefer to avoid thinking about death at all. 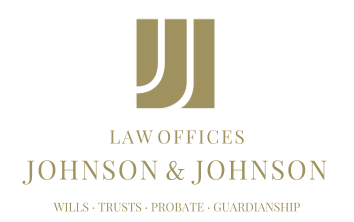 The fact is, however, that estate planning can benefit family members and make sure that a person’s wishes for how to handle their assets after death are honored. During estate planning, it is also important to update one’s beneficiaries on all policies, including any 401(k) assets, and review them whenever changes like divorce, remarriage and new births occur. Keep in mind that a waiver to allow your children to be beneficiaries of your 401(k) may have to be signed by a new spouse. It is also important to consider the possibility of mental incapacity or terminal illness developing at a later stage. In such cases, estate plans need to include a choice of appointed individuals who will have financial and medical power of attorney to make decisions on an incapacitated person’s behalf. Nevada residents who recognize the importance of having a last will and testament as part of estate planning may want to research the legal aspects pertaining to such documents. Following legal directives may ensure the protection of their assets and avoid their estate going into probate, a tedious and costly process of the court sorting things out and making decisions on one’s behalf. This can also make things easier on family members who are already going through a difficult period of grieving.